When looking at the last 20 years of film, it is difficult to overlook the work of one filmmaker, who is arguably the finest of our generation. 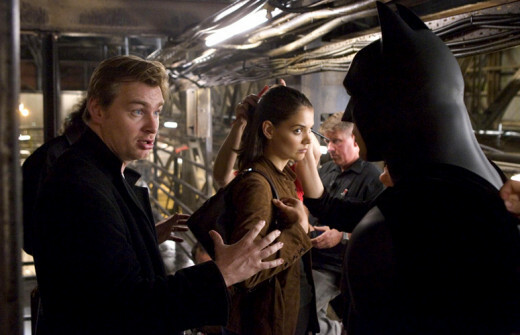 I use the word “filmmaker” as opposed to direction, as Nolan not only directs, but also writes and produces his films. When considering the complexity, originality and sheer genius of many of his films, this is quite amazing really, as you have to ask yourself how he finds the time. He has crafted the finest superhero trilogy in history. He has shown us things that we would once have considered impossible to portray, such as the world within our dreams, and a murder mystery from the true perspective of a man who has no short term memory. He has taken us into people’s minds, the world of magic, the world of guilt and regret and all while never straying from his beliefs. A few things stand out for me about Christopher Nolan. Firstly, he is always original. Everything he releases has an air of originality about it, which is part of what intrigues people to watch his films. You never feel like you’ve seen it before when watching a Nolan film. Secondly, is the sheer realism of his films, and the audacity of some of the things he shows you on screen. He is able to do this by following the philosophy of minimizing CGI and visual effects, but instead option for doing things for real wherever possible. Thirdly, is the fact that he has quite simply never released a bad movie. Every film the man puts out is finely crafted and perfected in every way. This is a trait that really sets him apart for me, and the reason that I sometimes ask myself if he could end up being the greatest filmmaker of all time. 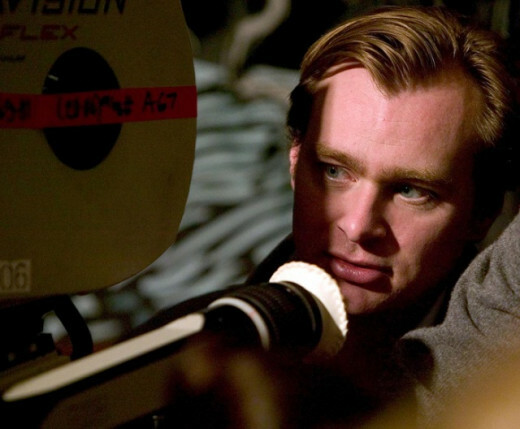 Nolan’s first feature length film, was made using a budget of around £3000, which equates to around $4500 or so. 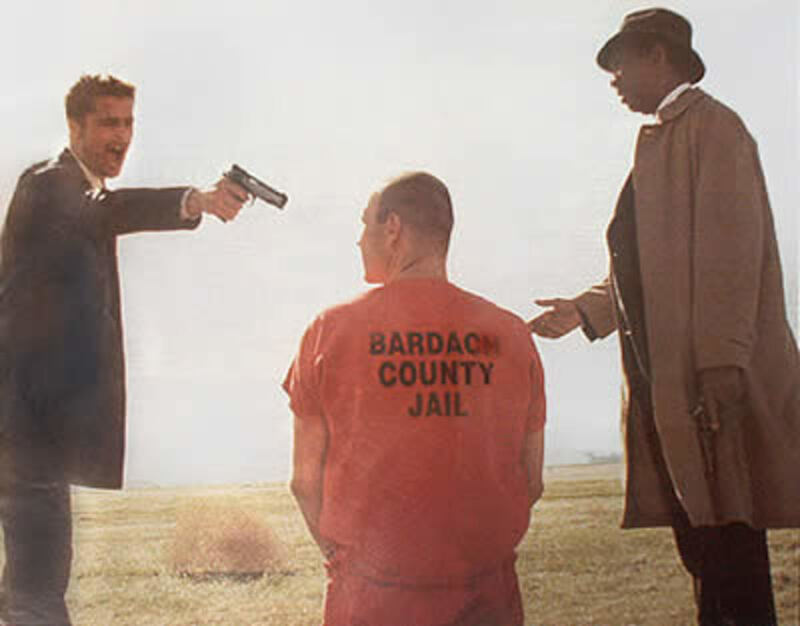 Using a variety of techniques and methods to conserve budget and film efficiently, it is quite incredible to see the final product which was released on DVD years after creation following Nolan’s other successes. Filmed in black and white, the film is a “noir” style movie that involves a nonlinear story, original ideas, twists and crime elements, which really have many traits that we see in Nolan’s later films. 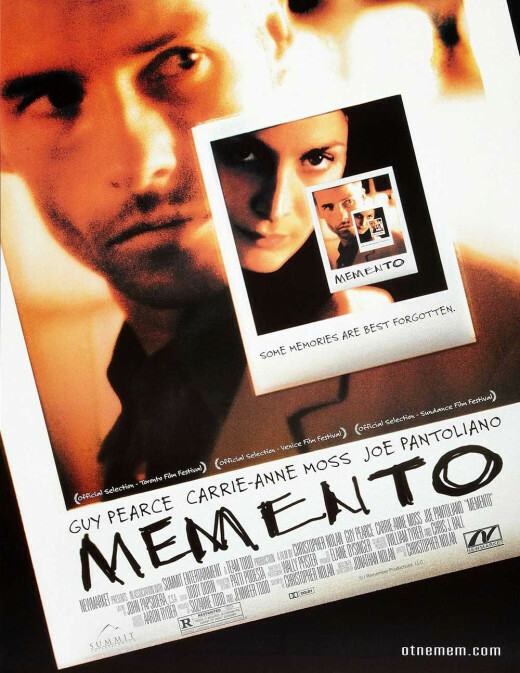 Memento was Nolan's second feature film. One of my favorite Nolan films, and one of the most original films of all time, Memento came about largely as a result of the successes that he had with Following. It is perhaps the most original of all of his films, and really set the stage for a fantastic career. The story revolves around a man with absolutely no short term memory, who’s on a mission to find out who killed his wife. However, with his obvious shortcomings this means he has to employ all kinds of clever ways of giving himself clues and preserving those he has already found. With a story structure presented like no other movie previously or since, this is a pure work of genius that everybody needs to see. Nolan’s next film moved away from twists and turns, and odd structures, and turned in the direction of psychological thriller. With some fantastic acting, including Al Pacino in the lead, the film is very character driven. The film involves a detective who is unable to sleep, and who makes a horrible mistake during his hunt for a criminal. What ensues is a cat and mouse game between himself and the criminal, and we begin to get a look into the minds of both characters, and see things from multiple perspectives. Less complicated with what we see on screen, the film makes up for that in the complexity of its characters and sense of what is right or wrong. What Nolan did next, was begin one of the most successful superhero sagas, and one of the best film trilogies in history, with his origin story of Batman. The film follows multiple unsuccessful attempts at a Batman franchise and was immediately touted as the best since the original Tim Burton Batman. The story involved a much darker tone, and was much more realistic in natures, moving away from the comic book feeling of the previous films. The film also moved into a realm of Bruce Wayne’s story that we had not yet seen on film before, and in a sense, Nolan was taking something so well-known and infusing it with his patented originality. The Prestige is a vastly underrated film, and one of my favorite of Nolan’s work. A movie that is difficult to classify in terms of genre, it involves a rivalry between two magicians and how this spirals out of control and affects everything around them. A mystery in many ways, and a psychological thriller in others, the film has sensationalism, twists and turns, emotion and moral ambiguity. It mixes this with the world of magic, which is actually a genre that has not been touched a great deal with much success. Often lost between the two Batman movies, this is a must see. The Joker will go down as one of Nolan's best creations. The follow up to Batman Begins had a lot to live up to, and it had been so highly anticipated that the pressure was really on. Nolan delivered and more, with what is widely considered to be the greatest superhero movie in history, and one of the best films in recent memory. More than just a standard genre film, what was so fascinating about it was it's ability to place the characters and audiences in situations of moral ambiguity and make us ask ourselves what we would do in a similar situation. This added depth and thinking is rarely seen in films of this kind and are largely what make it so brilliant. 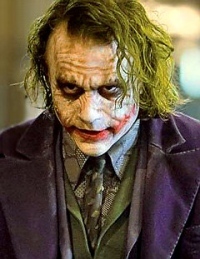 Involving an all-star cast, used to perfection, a fantastic plot and one of the greatest on screen villain performances ever from the late Heath Ledger, this is an unforgettable film for the ages that needs no more description. Nolan’s next film, following The Dark Knight, was always going to scrutinized and would always need to be something excellent. I had originally anticipated him to go in a slightly different direction, perhaps a smaller scale, similar to Insomnia or Following. However, I couldn't have been more wrong, as what Nolan did was redefine the idea of cinema. Taking a script that took him over a decade to write, and was almost a pipe-dream for much of his life, he crafted another genius piece of film-making, so original and mind-bending that it requires multiple views to really get the best out of it. 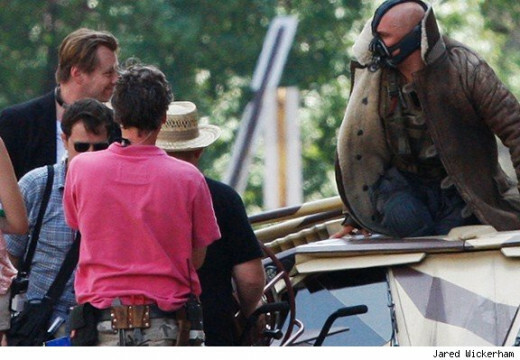 Nolan worked with Tom Hardy on both The Dark Knight Rises and Inception. To conclude the list, the biggest film of the year, and also the biggest task of Nolan’s career. How do you conclude a series that has had so much success, and do justice to The Dark Knight, which many felt was impossible to match. Well, Nolan was the man for the job, as he has arguably been able to not just match the previous film, but perhaps surpass it. With an equally brilliant villain, a grander, more epic scale and even more depth with well written characters and back story, this was one of the finest cinematic experiences of all time. With the list above, I think it's difficult to argue against Nolan being one of the finest filmmakers of our generation. What are your thoughts? Check out my other movie hubs! Thanks filmchick! He's definitely an inspiration! I agree, the scale he is able to create is massive but he does so with complete credibility and believability. Thanks for reading! Indeed, probably the best director for 'big films'. Personal favorites 'The Dark Knight' and 'Memento'. Nice presentation. voted up. Definitely check out Following, it's a good film. I am inclined to agree that it was the best of the three - I really loved The Dark Knight though, but I think a lot of people went into Rises knowing they would never admit it was better even if it was. I think there's an argument for both, but I do think Rises was better. I agree - I think Superman will be good just because I don't think he would allow it to be otherwise. I have a feeling he may try something very different next. The only film I haven't seen of Nolan's is Following. Glad you liked Dark Knight Rises, I thought it was the best of Nolan's three Batman films, the second was a tad overrated. I hated the white knight subplot. It'll be interesting to see what Nolan does next, besides produce Superman.